June 7, 2017 Fair Lawn NJ – The Film Photography Project (FPP), an online instruction and film resource for film photography enthusiasts worldwide, announced today that for the second consecutive year it will provide film cameras and lenses to the photography component of the Integrated Technology Department of Pickerington High School Central. Fall 2017 will see over 400 students enrolled in the basic photography course, with donations encompassing 35mm cameras, lenses, and medium format cameras. This new venture follows hot on the heels of the results from the FPP’s 2016 camera donation to the Pickerington High School Central Photography class, after Dan Yeager, Integrated Technology Department Head contacted FPP about donating 35mm cameras to their program. Following a brief email exchange and the thorough testing of the potential donations, FPP Podcast Co-Host Leslie Lazenby personally delivered the cameras to the school. You can see the award winners and photo gallery here, as well as read more about the process and the incredibly enthusiastic Pickerington High School Central photography students here. 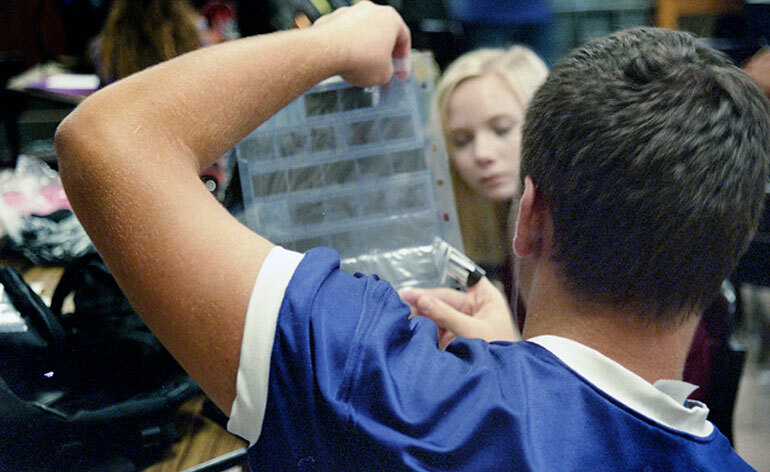 Pickerington High School students archiving their film negatives. Mr. Yeager instructing one of his many film photography students. 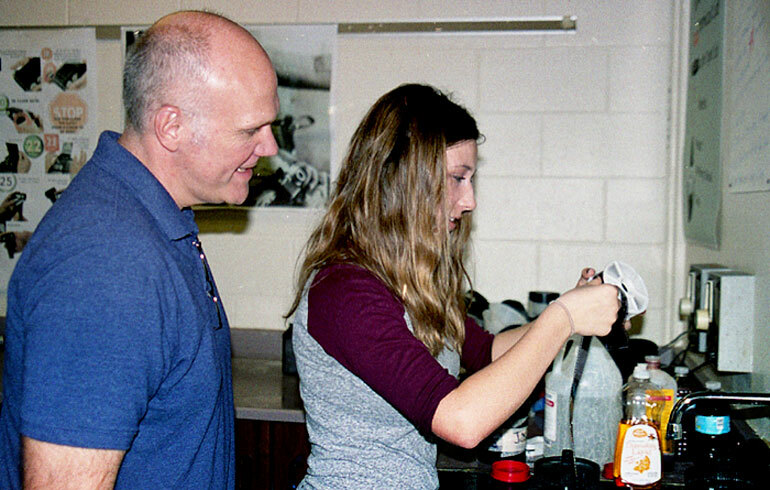 Since its inception in 2009 The Film Photography Project has donated cameras, lenses and film to numerous schools, cultural institutions and philanthropic organizations include the Scio School film class in Oregon, Louise Contino’s Picturing Wanteete Class, Bluffton University and others. 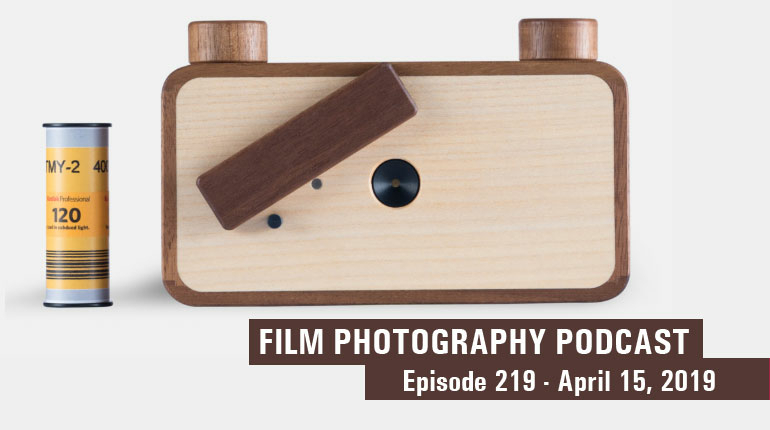 The FPP frequently hosts free events to educate both students and adults about film photography. The Film Photography Project Camera Donation Program has placed thousands of vintage analog film cameras, lenses and film into the hands of students and novice photographers enrolled in academic and cultural institutions offering courses in film photography. Along with the overwhelming positive reception to the program has come an increased volume of requests, so we encourage you to contact us about your program as soon as you are confident of the start date, class size and student capabilities. For additional information please visit https://filmphotographyproject.com/donate/.